Are you concerned with something you saw online about your business? Imagine having a dedicated Social Media Marketing Specialist who understands your business goals and is just a phone call away. Whether we are working with you to manage your Google Adwords, designing pay-per-click campaigns, managing your Facebook Ads, or interacting directly with your clients; our team will work with you to develop a custom digital marketing plan based on the needs of your business. Our Social Media Marketing plans are scalable to almost any budget. Our team is here to interact directly with your clients and ensure a personal response to any inquiries you might receive. Working with you every step of the way to ensure our messages to your clients are on point with your marketing strategy and in line with your company's personality. Our goal is to provide a seamless interaction with your customers that builds both familiarity and confidence in your brand. This allows you to focus on the day to day realities of running your business. All while we provide the personal touch that can engage customer loyalty and keep them coming back for years to come. By directly engaging with your customers through Social Media we can build confidence in your brand. Whether engaging in dialogue on Facebook, or Tweeting your company's latest achievement we will work to build a rapport with your customers. When a customer visits your Social Media Pages and sees a long term history of positive interactions with other clients it inspires confidence that your company is one they will feel comfortable working with. Not every company is the same, and your team understands that. We will tailor your marketing strategy to the social media outlets that you prefer, and that makes the most sense for your business. Whether it is Facebook, Twitter, LinkedIn, or Google+ your team of Social Media Marketing Specialist's is ready to engage your clients on your preferred platform. We can work with you to build likes on Facebook, followers on Twitter, or we can even manage your Yelp reviews. We will work to provide positive reinforcement to your happy customers, and to address any unhappy customers issues in a positive manner. Beyond just interacting with your existing customers, it is important to bring in new customers. Whether you are just marketing in Michigan or around the country your team has the capability to provide Search Engine Optimization services as well as Search Engine Marketing services. This enables us to build your organic rankings for your website while simultaneously using Google AdWords and targeted Facebook Ads to bring new customers to your business. Search Engine Optimization is a fast growing, and ever changing world. Your team will ensure the content of your site is in line with Google's best practices. We will perform in depth research of your industry and your competitors enabling us to work with you to create targeted content specific to your company. This content will be tailor made to help your Google rankings, either to maintain a position or to increase your ranking. 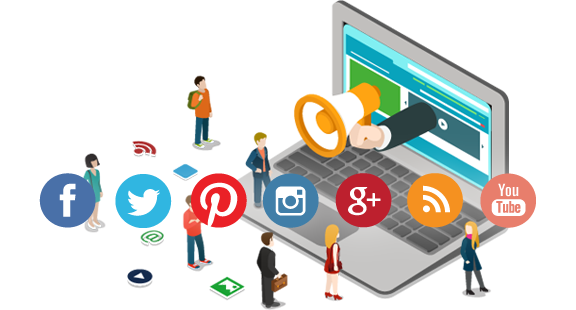 Hand in hand with our Search Engine Optimization your Search Engine Marketing team can be managing your Google AdWords as well as your Facebook Ad campaigns. These campaigns work to both build a positive brand recognition as well as bring customers directly to your site. Studies have shown seeing advertisements of companies while performing searches or browsing Facebook has a positive correlation on customers opinions of that company. By becoming more familiar with your clients they will remember you for their future business needs. Let your team at Schott Cultural Consulting help you overcome the struggles of the digital age.